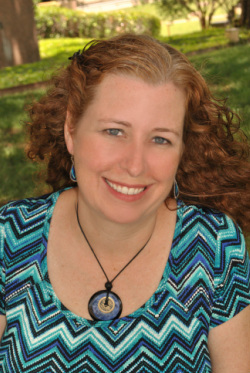 Deborah Duval is certified by the National Certification Committee for Acupuncture and Oriental Medicine (NCCAOM) and is a licensed acupuncture practitioner in the state of Texas. She received her Masters in Acupuncture and Oriental Medicine from the Academy of Oriental Medicine at Austin (AOMA). While acupuncture and Chinese herbal medicine can be used to treat many different conditions, Deborah's special interests lie in the treatments of fertility, pain management, stress management, and digestive disorders. Click here for Yelp.com reviews. I had seasonal allergies since childhood, but as I became older the allergies became increasingly worse and less seasonal. Eventually, by my late twenties, I had allergies all year round with severe allergic conjunctivitis (really red itchy eyes). There were times that I wanted to scratch my eyes out. I was miserable and I looked terrible. I knew that I was probably doing damage to my eyes, but none of the western allergy medications did any good, and I had been through them all. At that time I was living and working in Maryland and happened to meet an acupuncturist at my company health fair. I decided to give acupuncture a try. I was being treated twice a week for 6 weeks. After 6 treatments I was symptom free and after 12 treatments I was no longer on medications. I haven't taken western meds for allergies since, and that was 10 years ago. I still need to have a tune up occasionally, but I'm so glad not to have to deal with that misery any longer. In 2005 I decided to leave Maryland for Austin, Texas. I started looking for a good acupuncturist to continue my maintenance. I had heard that Austin was an awful place for allergies. Instead of one acupuncturist I found a school of Oriental Medicine (AOMA). I decided that acupuncture had improved my quality of life, and I wanted to be able to share that gift with others. So here I am, ready to make the world a better place.